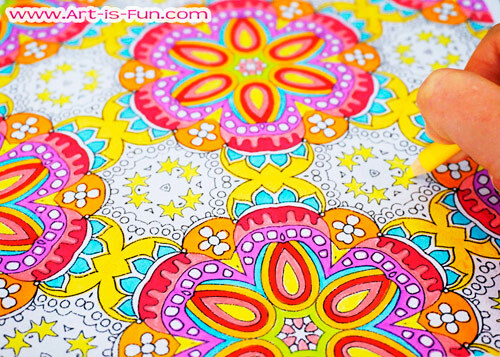 The free abstract pattern coloring page below is filled with a fun kaleidsoscope of details, perfect for hours of coloring fun! The abstract coloring page below is a free sample from my $8 Abstract Patterns Coloring Pages ebook, which contains 20 pages of detailed abstract patterns that you can print and color using any medium you choose. If you like the free sample below, you'll love the full ebook! 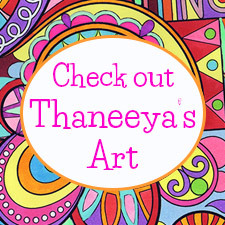 And don't forget to checkout my Abstract Coloring Pages! 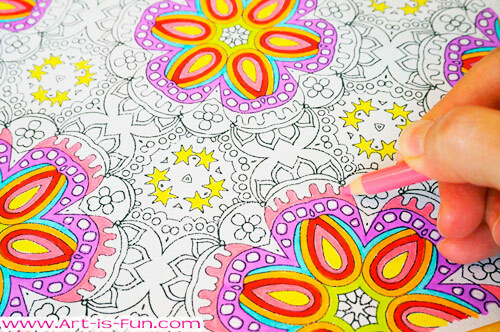 This coloring page is perfect for people who love patterns and details! This pattern was created by me, Thaneeya McArdle, along with 19 other detailed patterns in my ebook of printable Abstract Patterns Coloring Pages. I love abstract art that is groovy, psychedelic and intricate, so it was a lot of fun to create these patterns. I am offering the printable abstract patterns coloring page below as a free gift, so please use this coloring page for your own personal use only. This image is copyright protected, so please do not distribute the image on other sites or attempt to sell it in any way. Thank you! 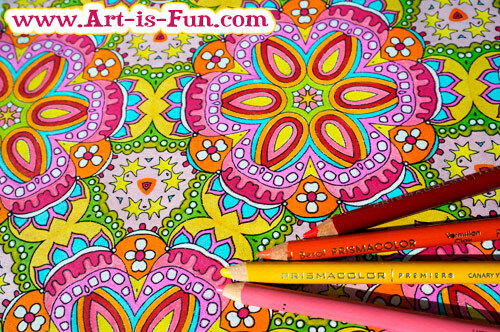 To download the free printable abstract pattern coloring page, simply click on the image. A larger version will open in a new tab or window as a gif file. Right-click on the image and select "Save As". Use your regular method for printing images, and there you go! Enjoy! Remember to click the image below to get the bigger version - if you try to save the image below you'll get a small version, so be sure to click on it and then save! This free abstract pattern coloring page is a low-resolution sample optimized for the web, to give you an idea of the type of art you'll find in my Abstract Patterns Coloring Book. 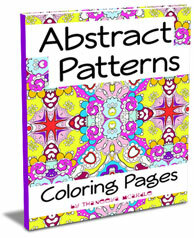 The pages in my Abstract Patterns Coloring Book have a much higher resolution than this free sample, with most images being around 1mb in size, so the print quality is superb. Here's an example of how this page can look when it's colored. Pretty groovy, don't you think?! 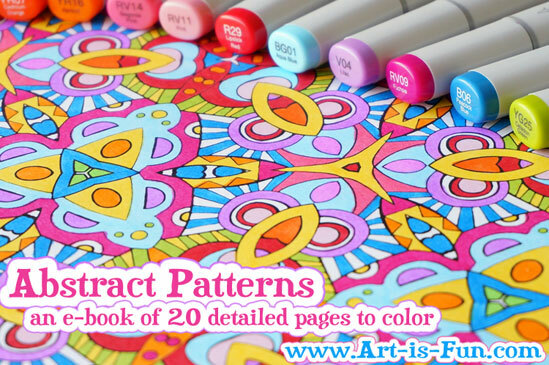 I used a combination of Copic markers and Prismacolor colored pencils to color in this abstract coloring page (those link to Blick Art Materials, and if you make a purchase I get a small commission that helps support this site). 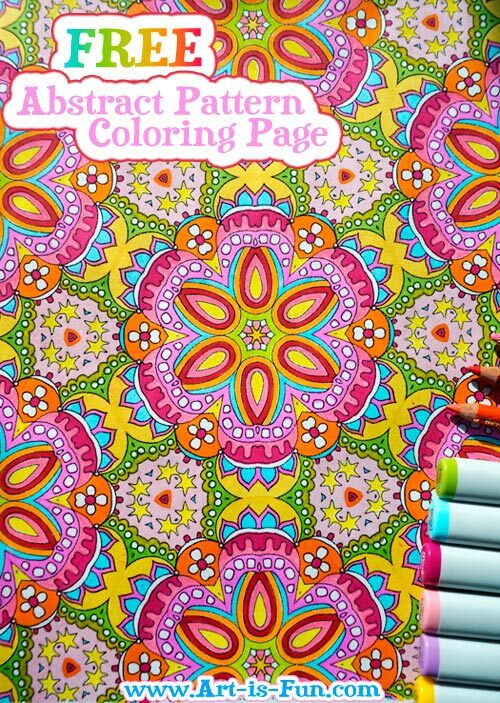 If you like the free abstract pattern coloring page on this page, check out my Abstract Patterns Coloring Pages, a downloadable e-book of 20 hand-drawn, highly-detailed abstract images for you to print and color! 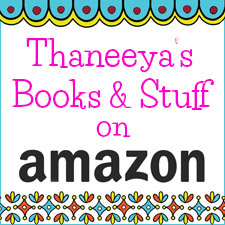 The images in the ebook are high-resolution files in PDF format, designed to print clearly on 8.5" x 11" paper or A4 paper. A lot of care and attention went into creating each image, to make them unique and interesting to color. I'd love to see how you color in my artwork! 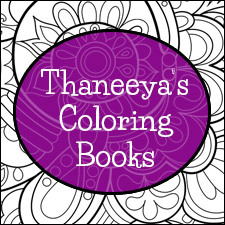 Join my Coloring Group on Facebook to share your colored pages from my books, ebooks, and coloring calendar. 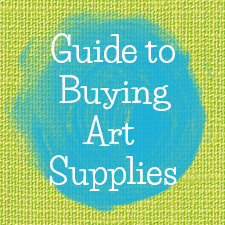 Find inspiration in seeing how others color my art and showcase your own creativity!